We have recently achieved a detailed planning consent for two homes in Great Shelford. 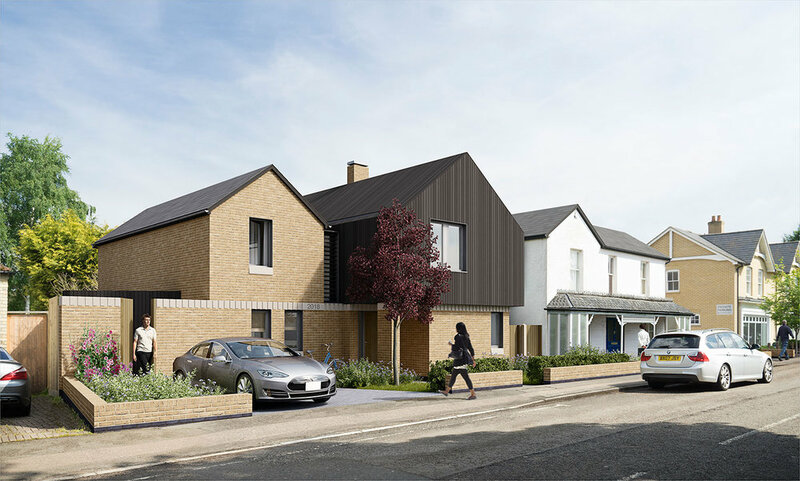 The scheme is a carefully considered proposal to create new, well mannered, energy efficient and contemporary family home alongside an extended and remodelled Edwardian house within this attractive and highly sustainable village setting. The site layout has been configured to provide adequate amenity space for each home without adversely affecting the amenity of the surrounding existing residences. 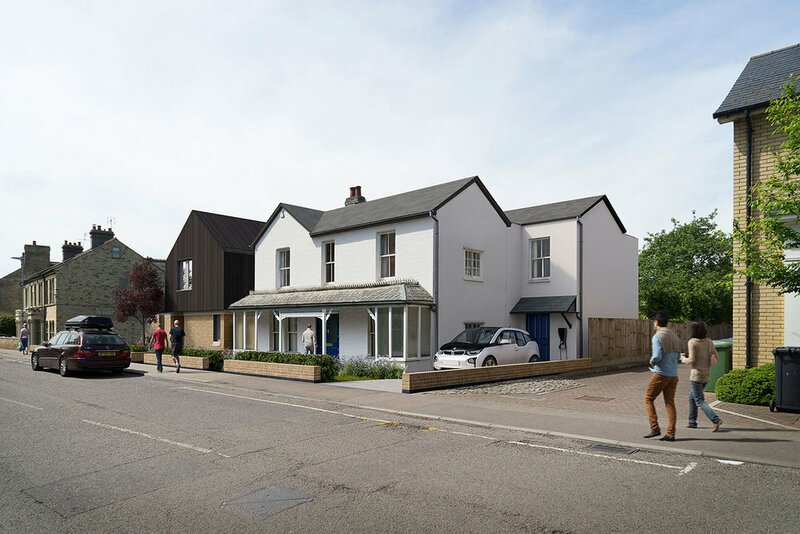 The new home has a direct and positive relationship with the street-scene and presents a restrained, high quality and contemporary addition to the evolving fabric of the village, enhancing and improving the appearance and character of this part of the north side of Woollards Lane.